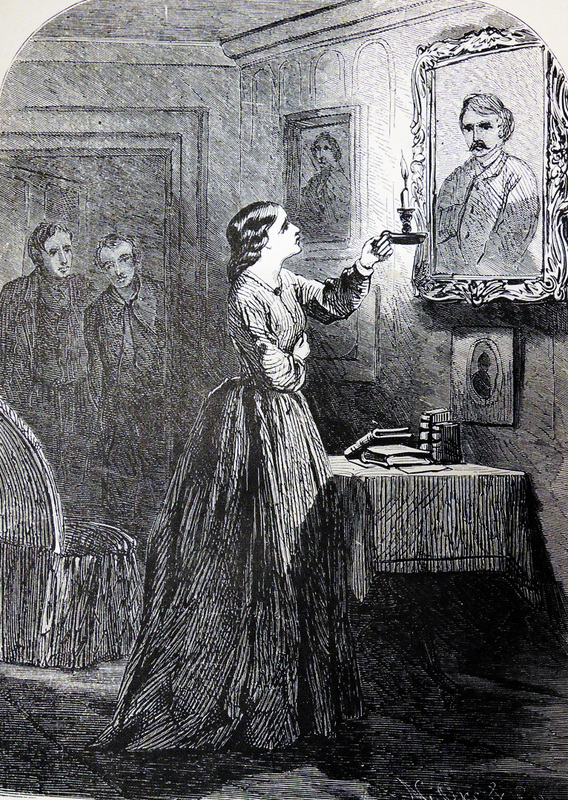 In 1860, Nathaniel Orr (1822-1908) began designing and cutting the wood engravings for the female author Metta Victoria Fuller Victor (1831-1885). Writing under the pseudonym Seeley Regester (as well as Corinne Cushman, Eleanor Lee Edwards, Metta Fuller, Walter T. Gray, Mrs. Orrin James, Rose Kennedy, Louis LeGrand, Mrs. Mark Peabody, The Singing Sybil, and Mrs. Henry Thomas), Victor created some of the earliest and most popular dime novels, beginning in 1860 with Alice Wilde, The Raftsman’s Daughter, and The Backwoods Bride. Although Orr’s name is often left out of descriptions, his wrappers, frontispieces, and interior plates helped enormously to promote and endear these books to the American public. 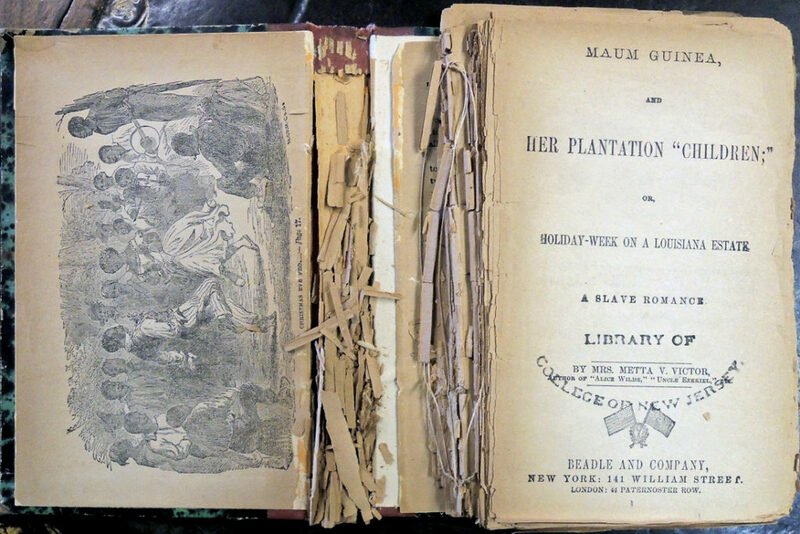 Their best seller, Maum Guinea, and Her Plantation “Children,” was published in 1861 and received compliments from no less than President Abraham Lincoln for its abolitionist message. 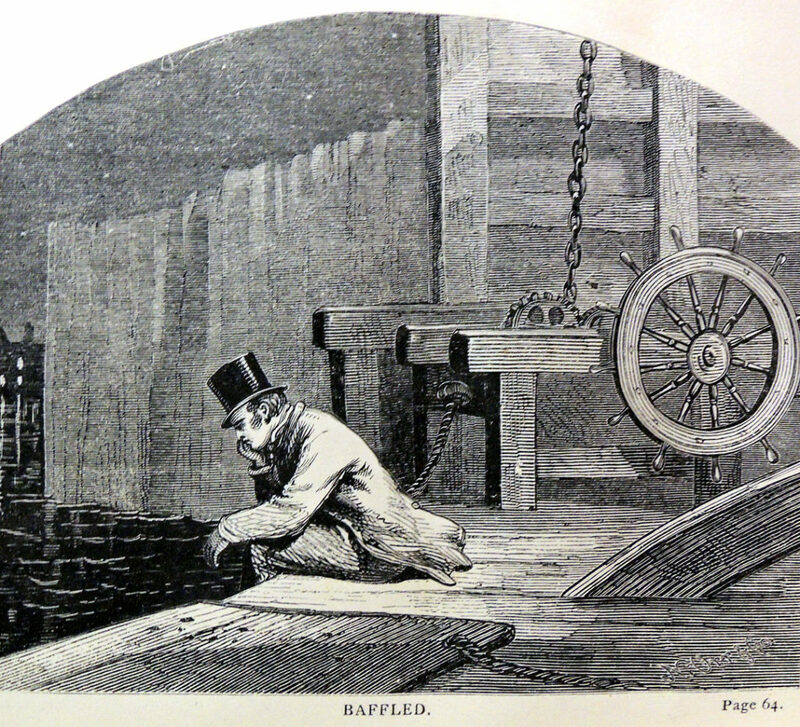 Perhaps even better remembered is The Dead Letter, serialized in 1866 and then published in 1867, with plates by Orr. The work is often credited as the first American full-length detective novel, by a male or female author. 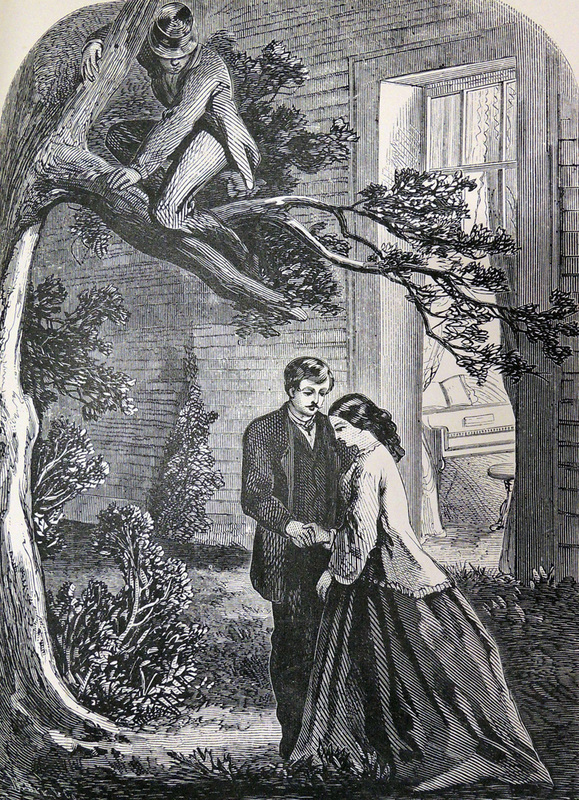 Victor wrote and Orr engraved many different genres, including mysteries, Westerns, romances, temperance novels, and rags-to-riches tales. These cheap little books brought tremendous financial success for both their author and illustrator, allowing Orr to move his family into a palatial estate along the Palisades, just west of present day Hoboken, with a view of the Manhattan skyline. Later, the Orrs and the Victors both moved to neighboring homes in Ho-ho-kus, New Jersey, and both families are buried in the nearby Valleau Cemetery. This entry was posted in Illustrated books, prints and drawings on May 8, 2017 by Julie Mellby.